A kitten sets out in search of the moon and is surprised to find something entirely different, but what she discovers is immensely satisfying all the time. “Let your kids find their way,” counseled Barney Saltzberg, the author of Beautiful Oops!, a deeply imaginative book that teaches children it’s okay to make mistakes. The idea that we need to provide children with space to learn and freedom to fail is not new. But all kids can use some gentle reassurance that the mistakes they’re making are an essential part of learning. 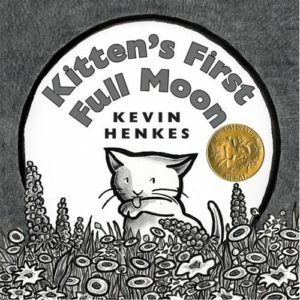 Kitten’s First Full Moon (public library) by Kevin Henkes provides that reassurance in the form of a silly story about a kitten who tries to drink the moon. Kitten tries licking and chasing the moon, but she’s continually met with failure after failure. It’s a playful reminder that learning — and the inevitable mistakes that come with it — isn’t always easy. Kitten first sees the moon when she’s standing on the house porch. 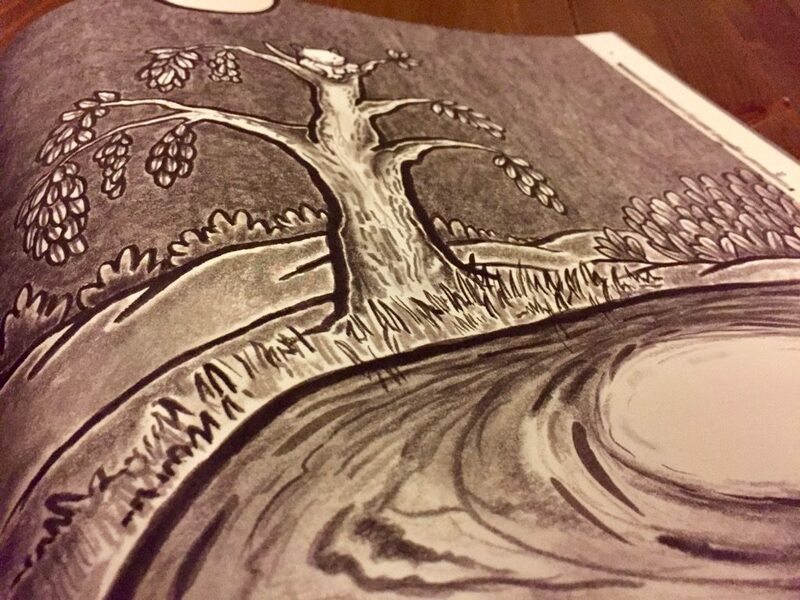 The black and white illustrations that complement the story are a bold touch. It was Kitten’s first full moon. When she saw it, she thought, There’s a little bowl of milk in the sky. And she wanted it. So she closed eyes and stretched her neck and opened her mouth and licked. But Kitten only ended up with a bug on her tongue. Poor Kitten! The book is full of Kitten’s mishaps, which escalate and eventually land her head-first in a pond. But the story ends on a high note when Kitten returns home and finds a big bowl of milk on the porch. That you can always return home for comfort and consolation is a powerful lesson for children. This is a story of serendipity. 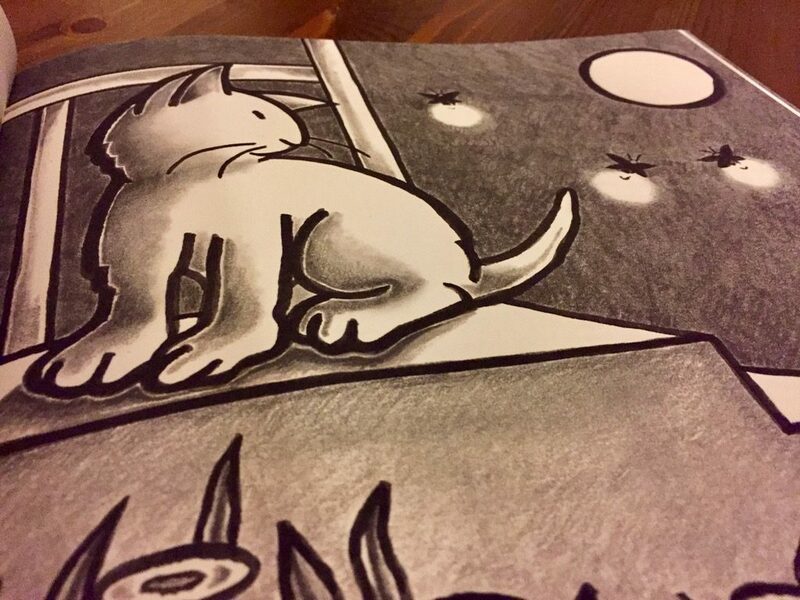 Kitten sets out in search of the moon and is surprised to find something entirely different. What she discovers is immensely satisfying all the time. Then, in the pond, Kitten saw another bowl of milk. And it was bigger. What night! So she raced down the tree and raced through the grass and raced to the edge of the pond. She leaped with all her might — Poor Kitten! She was wet and sad and tired and hungry. So she went back home — and there was a great big bowl of milk on the porch, just waiting for her. Lucky Kitten! 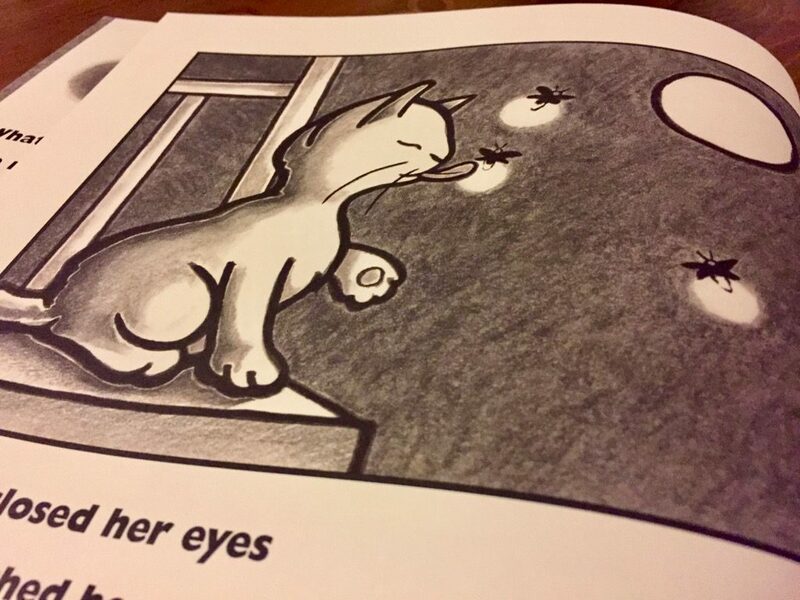 The story and the illustrations are elegant in their simplicity, as is the implicit message. What kitten loses to failure, she gains in knowledge. In the process, she discovers that mistakes are essential to learning. On his website, Henkes discusses the book’s humble origins. The story began as part of a failed attempt at creating a young concept book about circles. 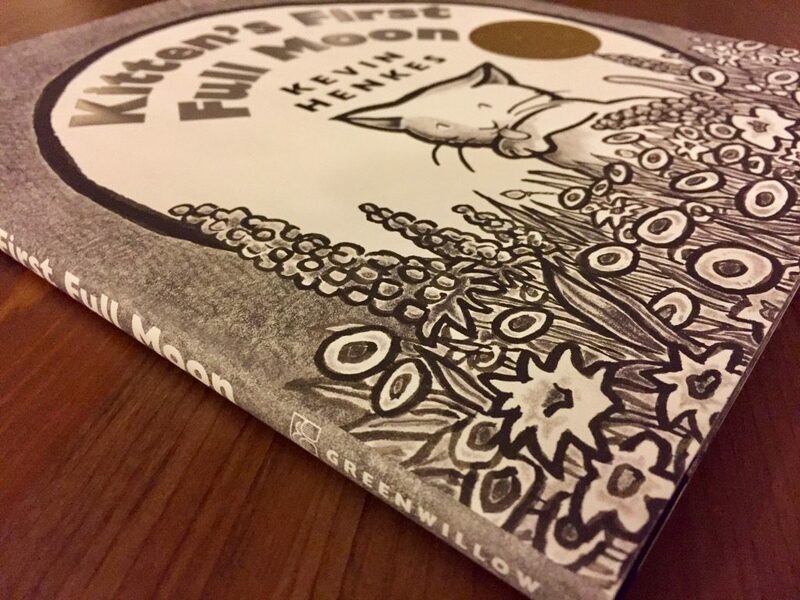 There was one line from the manuscript that I like: ‘The cat thought the moon was a bowl of milk.’ This line stuck in the back of my mind. I expanded upon it to write Kitten’s First Full Moon. All along I saw the book in my mind as a black-and-white book. I’d long wanted to do a book with limited or no color, and for the first time, I’d written a story that seemed just right for this approach. The text is simple and young, and so I wanted the art to be simple, too. 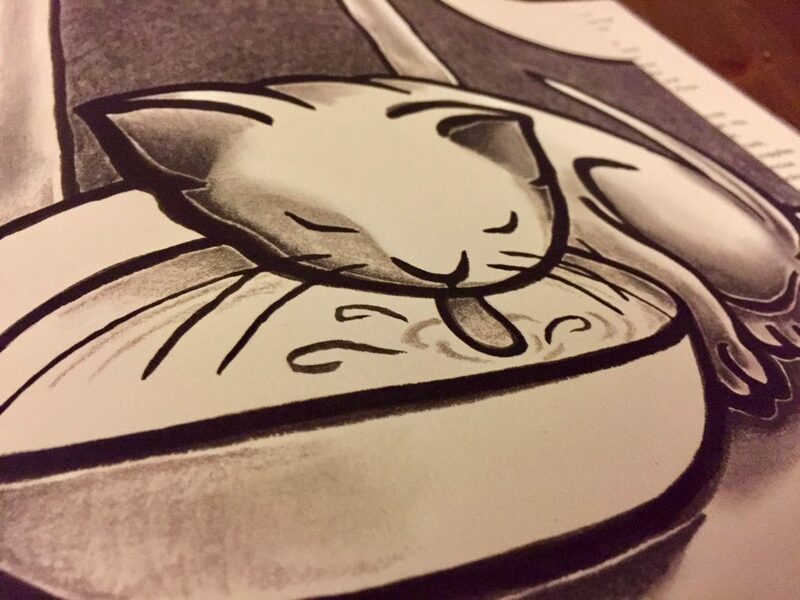 I liked the idea of having a white cat, a white moon, and a white bowl of milk surrounded by the night. 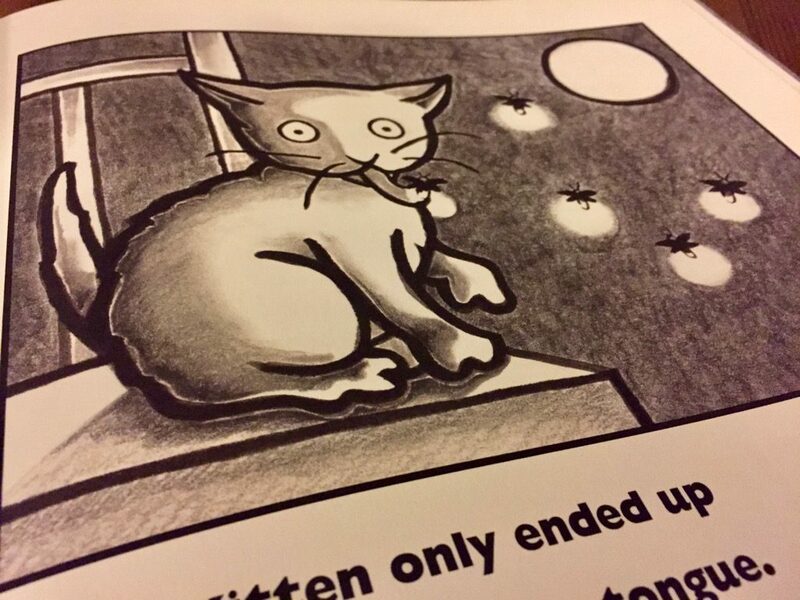 Kitten’s First Full Moon is a beautiful children’s book that deserves a spot on every child’s bookshelf. Winner of the Caldecott Medal, this timeless story will no doubt be treasured for generations to come. Complement with Scarecrow, a book that celebrates life from a scarecrow’s perspective.